Laying poolside is the quintessential way to spend a scorching summer day. It’s easy to imagine the fun that comes with owning a pool—floating in a tube on Caribbean blue waters, family poolside volleyball, romantic moonlit dips—without considering the responsibility that comes with it. The truth is, owning a pool requires regular upkeep and maintenance: weekly vacuuming, chemical testing, and inspecting various filters, pumps, heaters, and more. But, by understanding the cost of owning a pool and how to properly care for it, you can learn to avoid the common and costly mistakes that take the fun out of pool ownership. An under-maintained pool doesn’t just look gross, it can also contain E. coli and other dangerous bacteria. On the flip side, over-chlorinating can cause swimming pool rash and eye irritation. Fortunately, you don’t have to be a chemist to maintain proper chemical levels in your pool. Using chlorine and pH testing strips to clean your pool is straightforward with modern testing kits. If your pool doesn’t match these standards, simply adjust the chemicals or water levels. Test your pool’s chemical levels at least once a week to keep maintenance work low and the water ready for swimming. Pool cleaning is just like house cleaning—doing little chores everyday can prevent a cleaning disaster at the end of the week. One of the easiest (but most important) pool maintenance chores is skimming the top of the pool every day for leaves, bugs, and dirt. This helps your water circulate correctly and keeps you from having to add chlorine too often, improving pool feel and aesthetics. Make sure to clean out the strainer basket and scrub the sides of the pool with a brush or pumice stone about once a week to prevent algae buildup. These tiny chores go a long way in keeping your pool clear and bacteria free. How often you have to vacuum depends on how vigilant you are about daily skimming, since dirt and leaves left on the surface eventually sink to the bottom. Pool vacuums come in a wide variety of styles and prices, from largely automated robotic cleaners to handheld systems with telescopic poles. Vacuuming the pool can require a little bit of work to set up, but it is a key ingredient to a healthy pool. And, the process can be about as fast and simple as vacuuming a carpet indoors once you’re familiar with the equipment. Shocking your pool can sound scary, but all it means is adding a high volume of chemicals all at once in order to “shock” the system and kill bacteria. You only have to shock your pool about twice a season to counteract contamination. Use one pound of shock per 10,000 gallons of water. Dissolve one pound of shock solution in a five-gallon bucket of warm water before adding it to the pool. Once the shock is dissolved, slowly pour the solution around the pool. Shocking the pool works best at evenings or night. Not only can sunlight dissolve some chemicals and make them less effective, but the chlorine levels can balance out while you’re sleeping. Just be sure to wait until chlorine levels are back to normal (anywhere from 15 minutes to 8 hours depending on the kind of shock you used) before going for a swim or you risk serious skin irritation. 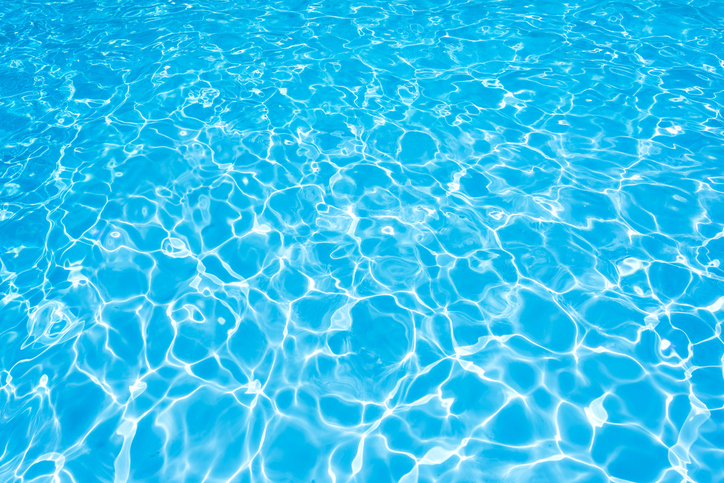 Everyday summer play can cause major fluctuations in your pool’s water level. The perfect water level is halfway up the skimmer line. If your water level gets too low it could reduce safety and ruin your pool’s pump. Adding water is easy: just grab a hose and fill it up. Be careful not to overfill your pool, though. Renting a pump to lower the water level can be labor intensive and expensive. With the above tips, you can take care of most summer pool maintenance by yourself. But, a pool is still a complex system—chemicals, heaters, filters, pipes—and sometimes even the savviest pool owners need an expert opinion. Getting a yearly checkup by an expert to make sure all your equipment is working will save you money and keep your pool operating all summer long. Wow at first we were shocking pools 3 or 4 times a season but now we know its twice thanks for the heads up. We found this blog very useful. Good information. Enjoy the comments too. I really like informative and useful blogs. Being in the pool business I see and hear folks tell me the funniest things they do to try to keep their pools clean. Keep up the good work! We have just launched our new pool cleaning company, and this article popped up when doing some research. Thanks you for sharing some great tips! Keep up the great work. Yes, Agreed, thanks for sharing the tips. Blogs like this make life easier for everyone. Pools are not easy to keep clean, we also just started a pool business and enjoy reading all these great articles. Appreciate it! This is some really good info, I am glad that you have this for everyone to read! We have a new pool cleaning service based in Tulsa, Oklahoma and love seeing quality information spread to the community. Keep up the great work! This is very informative, I am going into pool maintenance business, any info anyone can get is always helpful. Thank you for posting such an informative and helpful blog. This is a really informative article. It’s great information for new pool owners as well as veterans. Great tips!